“Win a tournament for the first time in your life, and maybe people will start taking you seriously”. 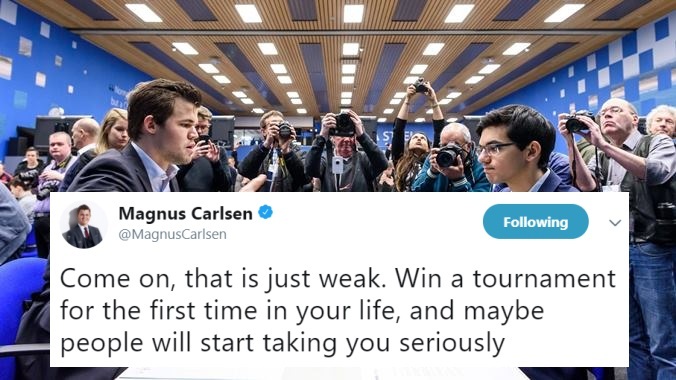 That was World Champion Magnus Carlsen responding to Anish Giri as some Twitter banter suddenly got out of hand. 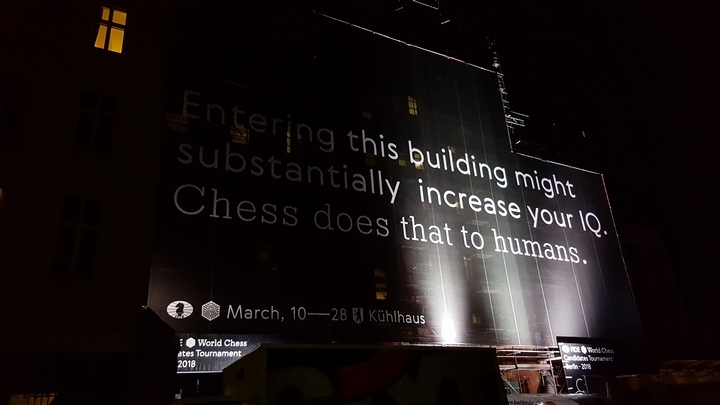 The spark came from Maxime Vachier-Lagrave’s preview of the Candidates Tournament, where he surprised Carlsen by described Vladimir Kramnik as the player, “who best understands chess”. The other Top 10 player not involved in the Candidates, Hikaru Nakamura, also joined in to attack Giri’s “ridiculous tweets”. Twitter doesn’t take up much of my time at all. I use it as a chance above all to communicate with people who support me, to let them know about my plans, my opinions and also to relax, to release some tension and get some enjoyment – to joke with someone, get a joke back and improve my mood. He is a typical counterattacking player, that’s where he feels at ease. If he doesn’t succeed in finding more aggressive ideas in the opening, in setting more problems to his opponents, it will not work in Berlin. He takes much more risks, so he is subject to tiredness, especially as he’s now 42, with a weakened body. Thus, a 14-round tournament may prove a bit too long for him. In my opinion, Vlad is probably the player in the world who best understands chess. You can show him whatever position, his instincts will seldom let him down. He will always find what the evaluation of the position is and which plan to adopt. Let’s hope all four of our super-GM tweeters will be active during the Candidates Tournament, which of course starts tomorrow. Follow all the chess action live here on chess24, and you can also follow us on Twitter so you won't miss the off-board action either!